Quali-Dent schedules appointments during our regular hours of operation. We are closed Saturday and Sunday, and all statutory holidays. We respect our patient’s time frame thus; we maintain a fixed schedule to prevent running over on appointments and delaying other patients. We do however, at times, get called upon for emergencies thus; should you have a true emergency, whether it be for dentistry or orthodontic treatment that cannot wait, please call us to determine whether or not you need to see a doctor right away at 506-622-3777. 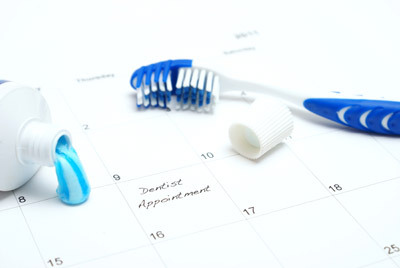 We would like to hear from you should you have any concerns about your oral health or teeth. Call us at 506-622-3777 to schedule your first exam. During your thorough exam, you will have the opportunity to become acquainted with our staff and dental environment. Our doctors will examine your teeth, listen to your needs and explain all procedures required prior to doing any work. After your exam, our Administration Staff will go over your financial options and explain the total cost and various options that are available to you. Any questions and concerns you may have will be discussed at length so you feel confident starting your treatments here at Quali-Dent. After your x-ray images have been taken, you will meet with Dr. Gauthier, Marchand or Mahabir in one of our examination rooms. Either doctor will inspect the condition of your teeth, bone support, gums and other oral tissues and assess your bite, and listen to your needs and what you hope to gain from treatment. This is the knowledge room where our doctors gain insight into what you are looking for as a patient; offering in turn a solution that will provide you with the end results you are looking for. Quali-Dent’s administrative staffs make every effort to provide you with the finest care relative to your financial options. We will be more than happy to assist you with all insurance forms; helping you to maximize and recover the most from your benefits. For persons with no insurance, we will do everything we can to help you with the treatments you need; understanding your financial boundaries. Forms of payment accepted by our office are cash, debit card, Visa and Master Card, and direct payment from your insurance carrier when applicable.